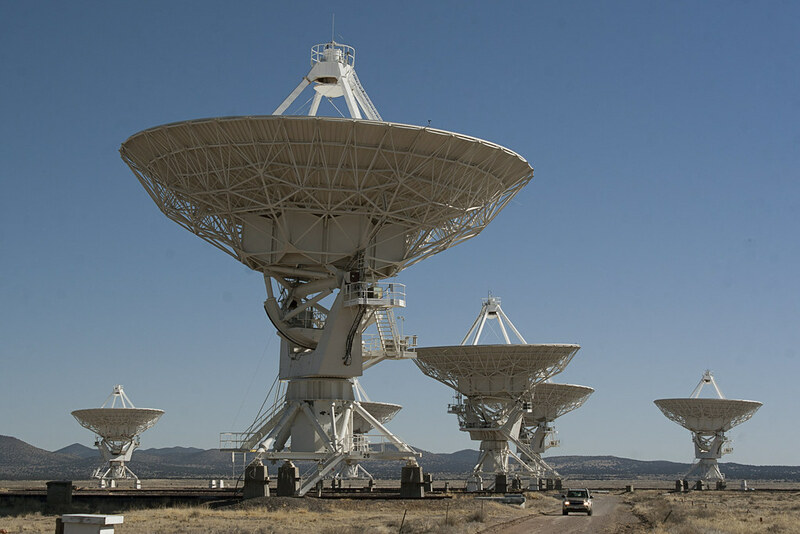 On day 11 we drove west of Socorro, New Mexico to see the Very Large Array radio astronomy observatory. If you know either of us, you know this was my choice and not Liv's. Numerous discoveries about the universe have been made using these telescopes. Also the movie Contact was filmed here, one of my favorite movies. I'm a nerd. If you were unsure before, now you know. The truck pictured was coming toward us as we were trespassing to get better photos. The guy just nodded at me as he passed. I nodded back. I think there was a kind of nerdly understanding between us. The night before, we drove up rough roads to a ghost town near the small town of Magdalena, NM. The bumpy road caused my exhaust pipe to break. 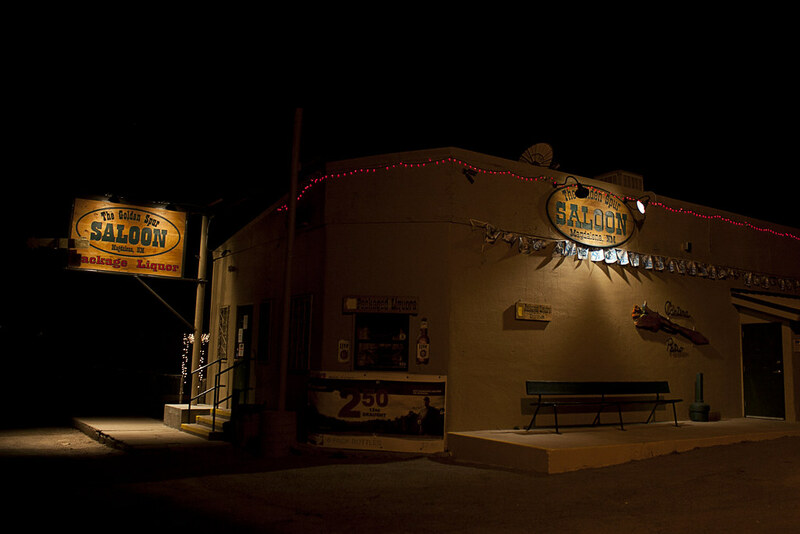 We found a saloon across the street from the only mechanic in town, who was closed for the night. We spent the evening having drinks and playing pool, Liv beat me again of course. Afterwards we slept in the car and waited for the mechanic's garage to open. He didn't have time to fix it that morning, so I tied it up with some wire and continued to the VLA in a loud muffler-less car rumbling down the highway. We eventually found a mechanic in Socorro who fixed it for twenty-seven bucks. Now that I look back on it, I'm really glad that pipe broke. I have fond memories of our time in Magdalena. I'm learning that when things go wrong, it can be even better than when they go as planned.